Send a little encouragement on every envelope you stick in the mail when you use these original return address labels from CheckAdvantage. Cute drawings on a notebook paper background are accompanied by phrases that tell everyone on your mailing list..."Hey, you can do it!" Because we all need a little affirmation now and then. 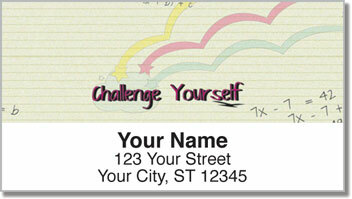 Inspiring Doodle Address Labels are just as useful as they are motivational. You'll save a ton of time preparing your letters and packages for the mailman thanks to a handy self-adhesive backing. 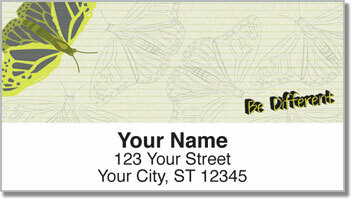 Instead of scribbling your name and address - all you have to do is peel and place! 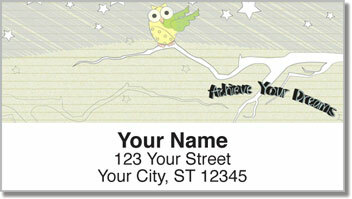 Order your own Inspiring Doodle Address Labels today! 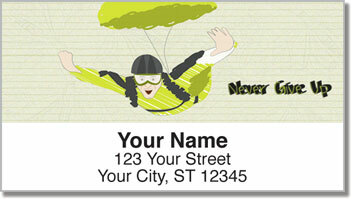 This design is also available in a set of matching personal checks.